We all know that communication is a vital part of any business. That’s why our plugin for Outlook is optimized for multilingual companies that require fast translation of emails. Companies that communicate in multiple languages will love this plugin even more because our newest feature will allow them to instantly machine-translate your emails with a click of a button. While the email gets translated, the content of your email is preserved below the translation in its source language. All you have to do is to set up the plugin by clicking on the Text United Settings button. From here, you will need to connect the plugin to your Text United account. Enter your email address, company ID and API key. All of these details can be found on the API Integration page. 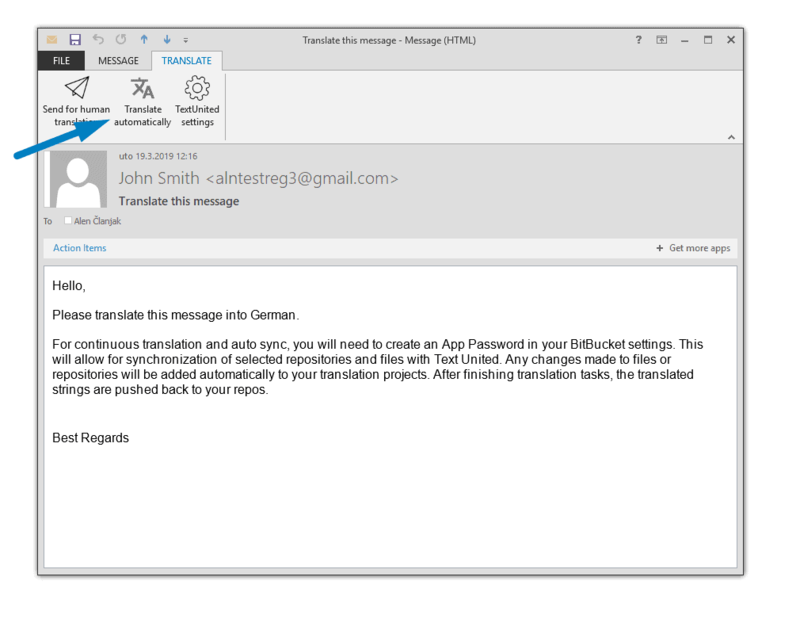 Once you have connected the plugin with your Text United account, you can start translating your emails. The Translate automatically button will translate the body content of your email instantly – and by instantly, we mean seconds! Below the translated part you will see a separator below which you can find the original message content in the source language. What if you need professional translation? You can also order professional human translation for more complex content. The plugin allows you to send the email content only, attachments only or both. 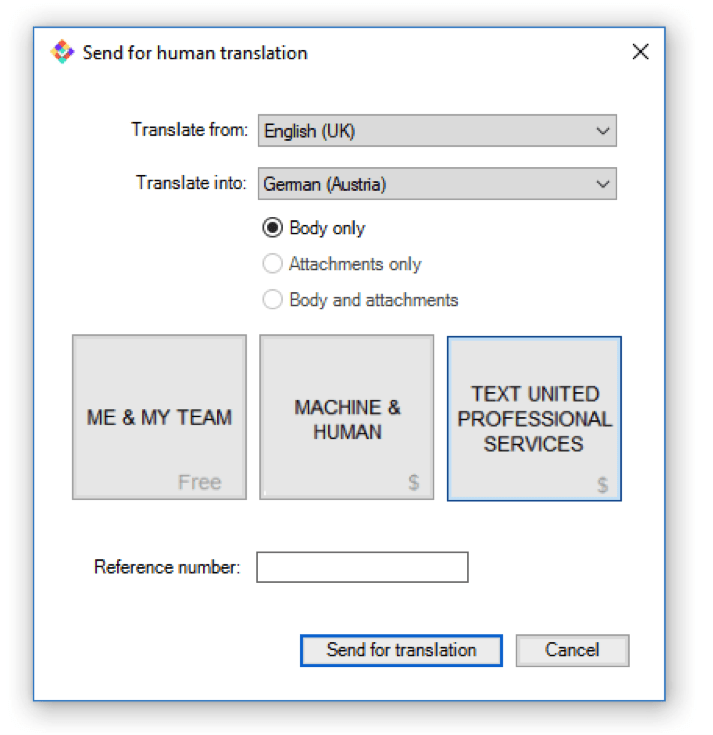 This option will create an internal project for you or your team of translators to translate. This option is paid, but it’s cheaper and faster than regular professional translation. Your email will be machine translated, and then reviewed and edited by professional translators. This is the highest quality translation available. The content you select will be translated by a professional translator and reviewed by a proofreader. 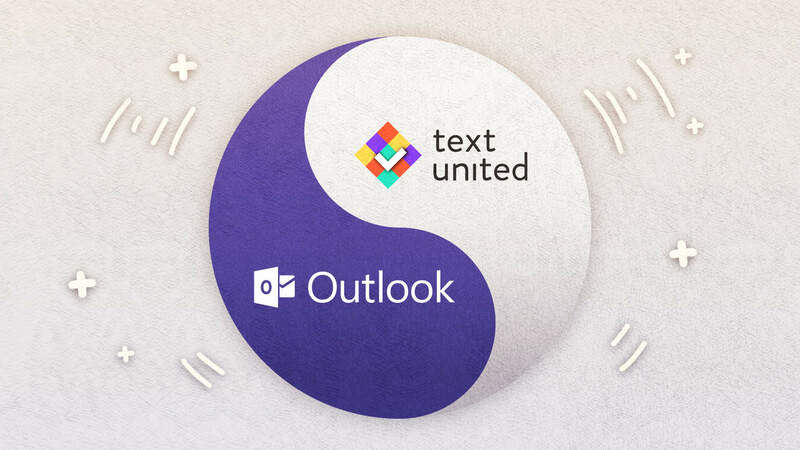 When ordering projects from Text United, the translated content will be delivered back to your Outlook inbox. Prepare for the upgrade of your multilingual email communication! 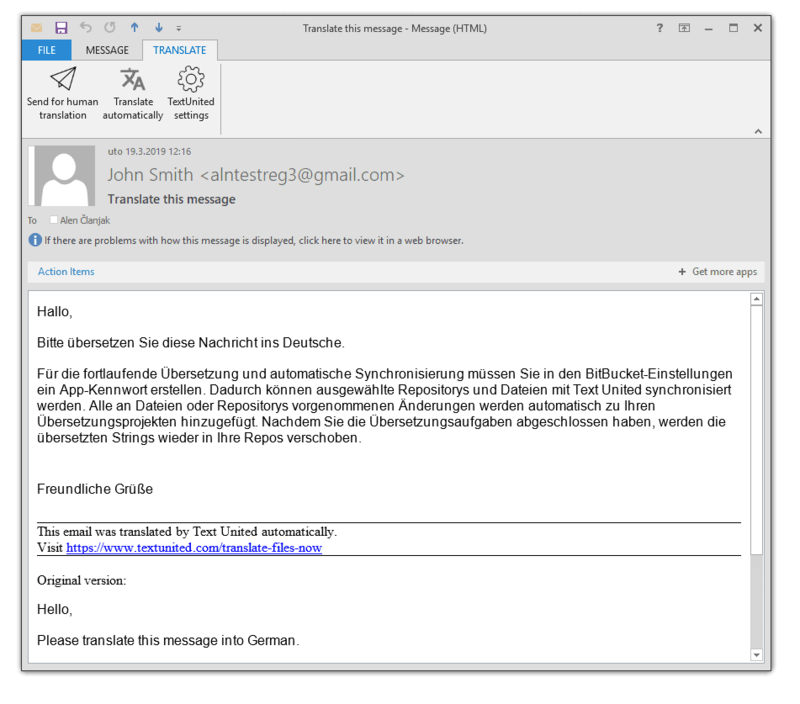 Do you need help in setting up the Outlook Localization Plugin, or maybe you want to discuss the technology behind it? Our team will be happy to help – feel free to reach out to us!